With the aims of creating an ideal gathering place for those who are deeply in love with drinks, +84 Bar is intentionally opened. According to the owner of the bar, it offers comfortable private spaces, so almost all guests are satisfied with it and visit more often. The bar has 2 floors, in which the upper one is almost separated from the other. 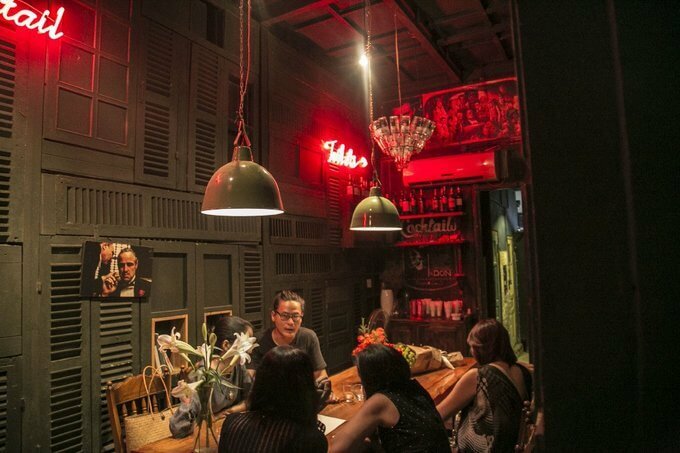 Featuring the vintage-style furniture, a charming balcony, in which you could enjoy the bustle of the city life, and leather armchairs, + 82 Bar fascinates visitors right they enter the bar. Additionally, the drink menu of the bar is quite impressive with some imported from Sicily and Italy. 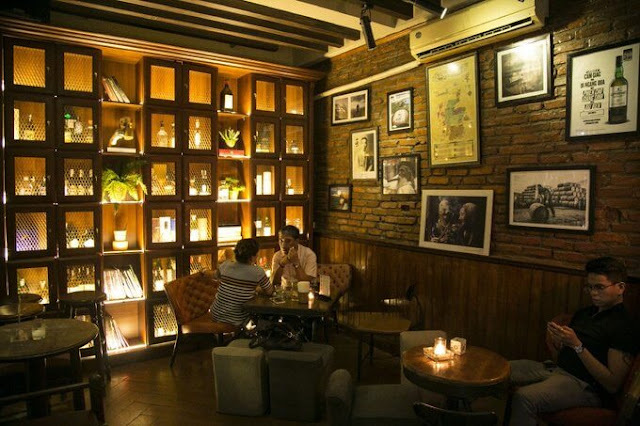 Interestingly, it offers live music at 9 p.m and you might listen to famous songs of the talented musician Trinh Cong Son. The bar opens from 9 a.m to 0:30 a.m, except for Friday when it starts working at 7 p.m. Address: 23 Ngo Van So Street. The foreigners in Hanoi has long been familiar to Polite Bub. Therefore, when you enter the pub, you might hear the conversations of different languages, including Vietnamese, English, Chinese, Japanese, and French at the same time. The design of the bar is based on the American Architecture in the 1920s which is the harmonious combination of furniture, black and white film tapes, and frames of jazz music. Being opened in 1955, the Pub was originally a family-run business. Thus, it’s one of the oldest bars in Hanoi. As you can guess, the pub did change to meet the growing demands of customers. Significantly, it was renovated last year. 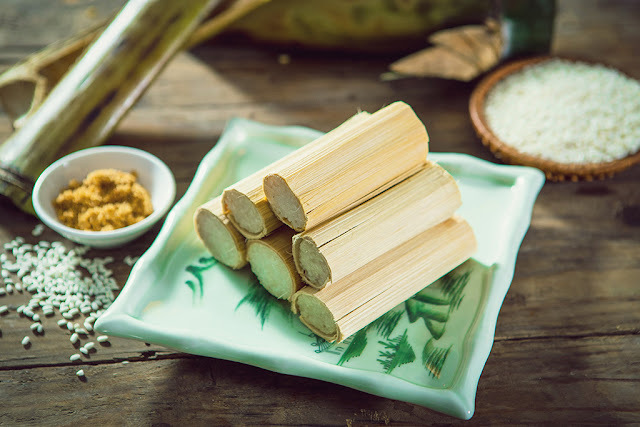 Meanwhile, the menu of drinks was changed last month with interesting names of famous ancient trade routes such as Silk Path, Perfume Path, Incense Path, and Tea and Horse Path. In terms of the cocktail, its menu is also remade every six months with more than 100 kinds. In addition, the restaurant regularly welcomes guests who are both local and foreign bartenders. The Pub starts working from 4 p.m to the midnight. 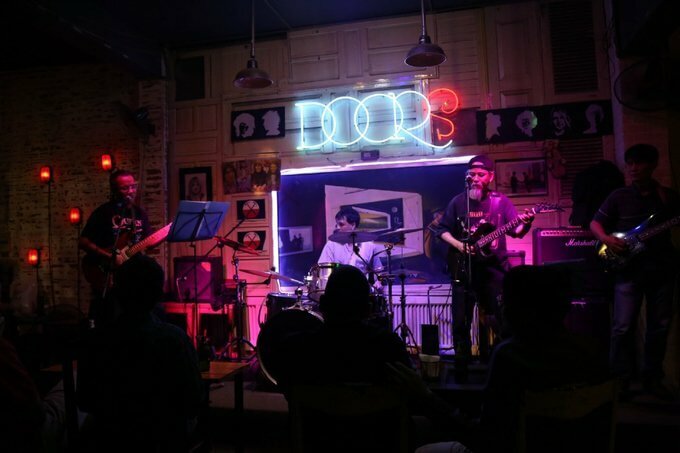 The Doors Pub has long drawn the attention of various tourists from different walks of life, including students, senior citizens, office workers, singers, etc. Moreover, it’s also a regular destination for foreigners. Having an idea of creating a gathering place for those who love Rock music and Western music, Mr. Quang decided to open this bar. The Bar offers a variety of drinks at affordable prices, and interesting space, so all guests have a rush on it, or even they do not pay too much attention at the price of drinks. Mr. Quang said, "This is a place for people to enjoy rock music." He told us that when he was playing chess on the sidewalk, he saw a North Korean man entering the Pub. The point was that that man just looked around, then felt embarrassed because he could not communicate with him. "We can not talk to each other because he can’t speak both Vietnamese and English." Nevertheless, as the music emerged as an invisible bridge, they did not need a common language to talk. The song of that day was Yesterday of the Beatles. The Pubs opens from 8 a.m to midnight. Address: 11 Hang Chay street.